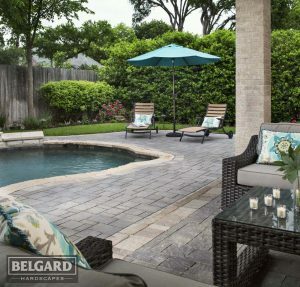 Make your pool area an escape you’ll be proud to show off to your guests. This is easy to achieve with a just a little landscaping. Find some fresh ideas to revitalize your pool area below with anything from exotic palm trees to local plants and bushes. 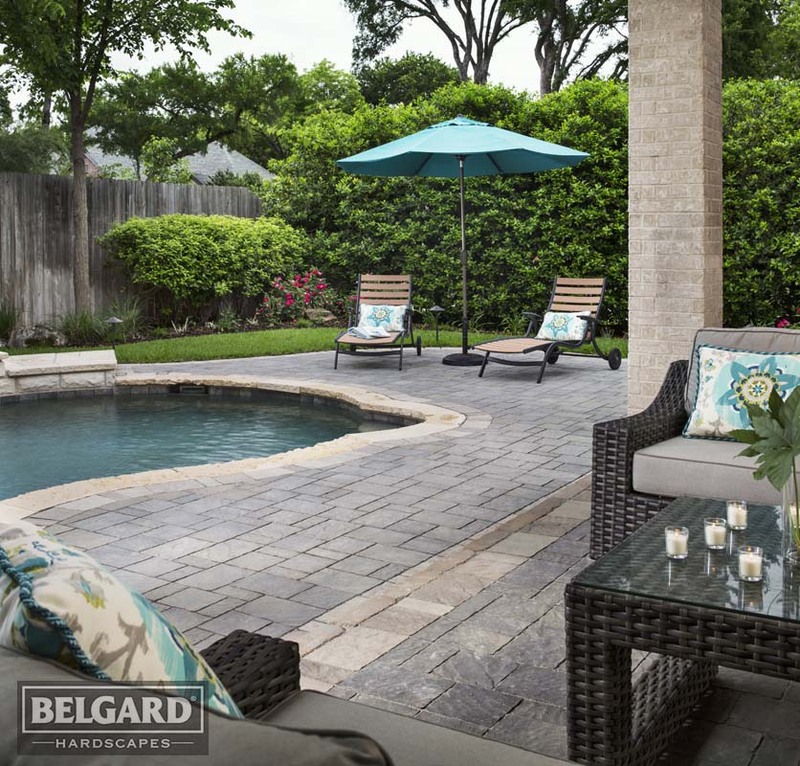 An exotic getaway might sound impossible in your own backyard, but with just a few landscaping changes, you will feel like you’re walking into a tropical resort every time you head out back for a dip. Palms, canna lilies, hostas, and hibiscus flowers all work together to create an exotic landscape your guests won’t easily forget. Try the Lord Baltimore Hibiscus for a perennial that will give you gorgeous red blooms all pool season long. Complete the look with brightly striped umbrellas and cushy lounge chairs. You might even feel a desire to add a little Tiki hut for towel storage and beverages. Our “Secret Garden” pool landscape creates the illusion that your pool magically appeared in the middle of a lush garden. Colorful grass borders incorporated with exuberant florals and mossy rocks bring the garden right up to the pool walkway. Adding climbing vines on pure white trellises and small flowering trees in jewel-toned pots. Now all you need is a few squirrels and hummingbirds to complete the effect! Let the beauty of your pool speak for itself with minimalist details. A few potted bonsai with deck chairs and a colorful umbrella or two will accentuate the color and shape of your pool and highlight what you love best. There are so many ways to landscape your pool area into the escape of your dreams. Plants immediately dress up any backyard into a beautiful oasis, and it’s so much easier to maintain that look with a good landscaping team. Give Bloom’s Landcare a call at (817) 688-5352 or reach us on our contact page to get started.